The message from the past 12 months is mixed. Many brands will describe a challenging commercial environment while luxury retailers pump millions into huge new stores and the export figures from Switzerland point to an insatiable appetite in the UK for its watches. 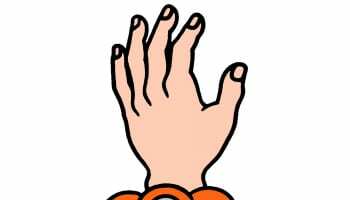 It can’t be long now before someone joins the ranks of Roger Smith in unveiling a serially produced watch that has been both designed and manufactured in Britain. The will is certainly there and it would seem there’s demand, certainly internationally and perhaps domestically, for such a product. 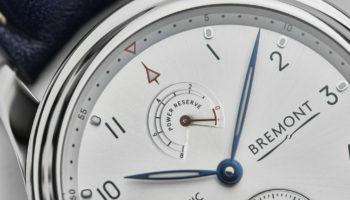 Much effort is being made behind-the-scenes to boost the level of British watchmaking that goes into the finished products being offered by British brands. Slowly but surely we are approaching a point where a serially produced watch that is British in its conception and manufacture is inevitable rather than a likelihood. Simon Michlmayr and David Brailsford want to do as much manufacturing, finishing and assembly as possible from their brand Garrick’s Norfolk base but have called in Swiss expertise to develop their first complete movement. The watches of Robert Loomes are hugely impressive in their craft but rely on, albeit heavily reworked, vintage movements from Smiths, the last vestiges of Britain’s sole example of industrialised watchmaking. No-one other than Smith can yet make a commercial proposition out of a new and truly British watch, but that state of affairs won’t last much longer. In 2015 Bremont opened a facility at Silverstone to ramp up its British manufacturing that already accounts for its watch cases and mainplates. It will be interesting to see what emerges from the Henley brand in the coming months once their new technical director Stephen McDonnell gets his feet under the desk. Watch this space. It would appear we are a nation of shopkeepers afterall if the latest export figures from Federation of the Swiss Watch Industry are to be believed. They show that, in the nine months between January and September this year, the UK was the fastest growing major market for Swiss watches in the world, growing by 20 percent or £138m on the previous year. This would certainly point to a very healthy retail landscape of watches at a premium price point in the UK, which is certainly helped by the tourist spend in major cities. The issue of watchmaker training seemed to gather major momentum in 2015, first at the meeting of the British Watch and Clock Makers Guild in March when many ideas were proposed to support the work already being done by the British School of Watchmaking, the Birmingham School of Jewellery’s degree course [which incidentally saw its first cohort graduate this year] and the BHI. Then in June pre-owned watch retailer Watchfinder, which relies on watchmakers to service its huge inventory, chaired a meeting of eminent watchmakers, service specialists and vocational education professionals to flesh out a potentially government-funded workplace apprenticeship syllabus for watch service technicians. But the biggest development came in October when the BHI announced it had secured £3m for a new national training facility to be called the National Centre for Horology at its Upton Hall headquarters. The arrival of the smart watch was heralded by many proclamations of doom relating to traditional watches and Baselworld 2015 saw many a knee-jerk reaction to the emerging sector. Apple Watch, the launch of which was preceded by the longest fanfare in tech history, unsurprisingly sold in its millions of units with global sales of at least £1.1bn between April and October. Many other brands have set out their stall to capture a piece of the action but none of the purely digital smart watches yet released have captured our imagination. Ironically the most compelling smart watch we’ve tried so far – the Frederique Constant/Alpina/Mondaine supported MotionX system – doesn’t even have a screen, instead relying on physical watch hands. TAG Heuer further confused things with the launch of its Connected last month, by offering customers a buy-out after two years of ownership where the Connected and the same again in cash can be exchanged for a mechanical Carerra. Is that an upgrade path or TAG’s prediction of the lifespan in the consumer interest of smart watches? The number of new, design-led brands creating premium quartz-based watches this year has been staggering. Unknown. – yes the full stop is a brand thing – was perhaps the first to launch with a series of three-hand and chronograph designs carrying a mixture of animal print and geometric dial designs. We have also seen Farer, Sekford and Objest launch in the past 12 months. With its strong history of design it may not come as much of a surprise that Glasgow has been one of the most prolific centres of this mini-movement with brands Paulin, Nomad, pictured, and Instrmnt all launching out of the city in 2015. The emergence of design-conscious retailers such as Dezeen Watch Store and Twisted Time (founders Alan and Kelsey Moore are also behind the Nomad brand) has certainly helped propagate the trend and let’s not forget Kickstarter. The crowdfunding platform allows anyone with an idea and a bit of business savvy to launch a watch brand, but in the case of ultra switched-on French brand Klokers it also became one of the biggest new launches of the year. One common topic that always rears its ugly head when talking to the founders of fledgling brands is how difficult it is to convince retailers to stock their new watches over the tried and tested megabrands of the watch industry. It is of course to be expected for those launching a new business of any kind to desire faster progress in everything they do, but with the dominance of the big names – and the power that they wield – you can’t help admitting they have a point. We’ve heard from sources in the US that a number of American independent retailers have reached breaking point with brand demands on space, positioning and localities in their stores, which may go some way to explain why a few luxury brands are now using the US as a proving ground for direct online sales. Many new brands look to independent retailers to champion their cause and present something different from the multiples. Some, unable to find the right retailer, suggest they may go it alone entirely through direct sales. Rise of the mega boutiques, pictured. 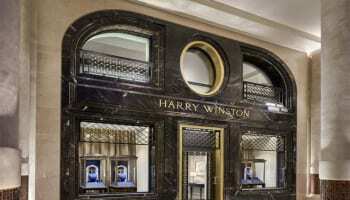 It might have started in 2014 with the opening of Watches of Switzerland’s flagship three-storey store at 155 Regent Street, but it doesn’t look as though these vast luxury watch emporiums are going anywhere soon. 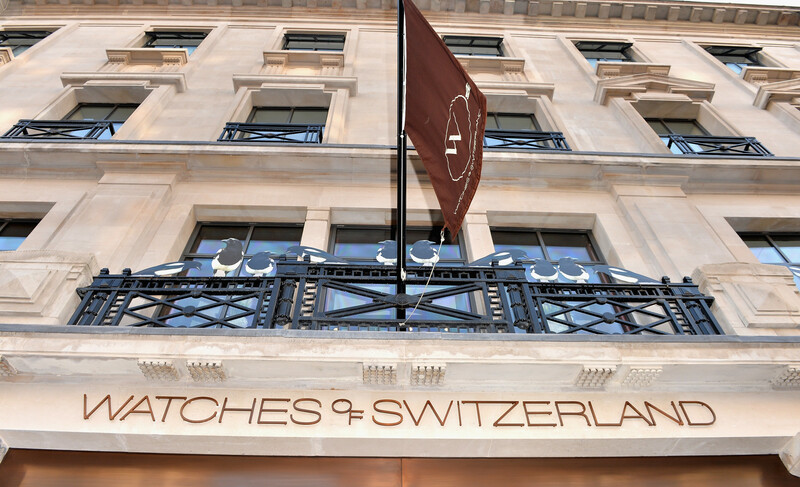 Watches of Switzerland’s parent company Aurum is investing huge sums in a number of such locations, most recently on Oxford Street and soon to be joined by Knightsbridge. The intoxicatingly avant garde selection of watch brands offered at William & Son also received grand new premises this year just off of Bond Street with two storeys dedicated to retail. It was only a matter of time before the UK got its first vast watch boutique of the kind already found in New York and Paris and the fact that Aurum continues to invest in the model suggests that it is doing good business. Online watch retailing is starting to gain traction after years of investment during which time retailers have had to convince their brands to take part and their customers to part with substantial sums in online transactions, a traditional sticking point of the sector, which has not yet been fully addressed. But in Q3 this year online sales of watches accounted for 20.5 percent of all UK watch sales, up five percent from the previous year. Online sales by volume are gaining almost as fast those dropping away from bricks and mortar retailers, which is due to the ‘buy less, spend more’ trend apparent from the sales data of industry analysts GfK. Online sales do tend towards lower priced watches. 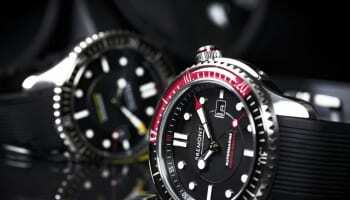 The average UK watch sale across the industry is now £150 while the online average purchase price was just £90. The increasingly diverse and specialised network of television channels available in the UK are proving a rich hunting ground for high volume watch brands and, increasingly, online watch retailers especially as they seek to attract customers in the lead up to Christmas. While Seiko, Citizen, Watchfinder, Watchwarehouse and Watchshop have all used television to market themselves, Casio is perhaps at the forefront of using television as a central part of its campaign, a move usually supported with print and outdoor advertising. Its Edifice, G-Shock and Sheen brands have all used television in the past 12 months. G-Shock’s latest television project is perhaps the most groundbreaking TV marketing campaign to date from a watch company, with the brand funding 12-part adverture sports and stunt show, The Unbreakables, being screened on Dave. Our round-up of 2014 in last year’s December issue of WatchPro – a frankly uncanny crystal ball to the year ahead – pointed to the fact watches were getting smaller and cited a handful of shrinking watch models. 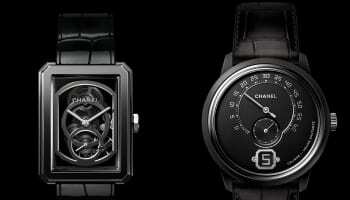 This year’s Baselworld demonstrated that what started as a few isolated examples had become a fully fledged trend. Where the previous decade had seen watches clamber to be as big, bold and brash as possible this year has seen many scamper back down to 40mm diameters and below. Much of this is down to the huge appetite for vintage watches which, in turn, has been driven by serious collectors paying unprecedented sums at auction for rare Pateks and Rolexes at auction. These vintage styles are also influencing contemporary watch designers at all price points with suave, understated new models arriving from luxury and entry level watch brands alike.